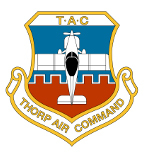 Thorp Air Command - T18.net • View topic - How do you make a clear leading edge lens? How do you make a clear leading edge lens? Post subject: How do you make a clear leading edge lens? I have a taxi light in the leading edge of my wing. It is covered with a clear lens which of course is the shape of the leading edge. If this lens ever cracks/breaks, I would like to have a replacement on standby. I assume its probably made of plexiglass, but how do I make one of these plexiglass lenses contour to the leading edge? Do I heat it and bend it over a mold? Post subject: Re: How do you make a clear leading edge lens? After a brief review of the document, I may be money ahead to find a local shop. Wife's oven @ 250 degrees. Use .090 Plex. now that, I can do. thank you for the tip. I used this format to make my lens . The rest was modified slightly to fit my LED lite . Not as difficult as it looks ! I like step by step guides. Much appreciated Rich.